Establishing new relationships and growing supporters are huge undertakings for non-profits. 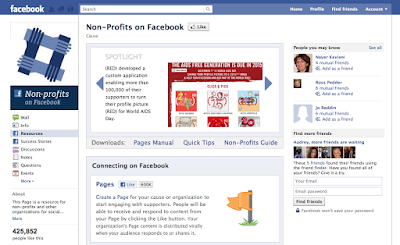 Social media tools, such as Facebook, are becoming critical in ensuring non-profits efforts are successful. 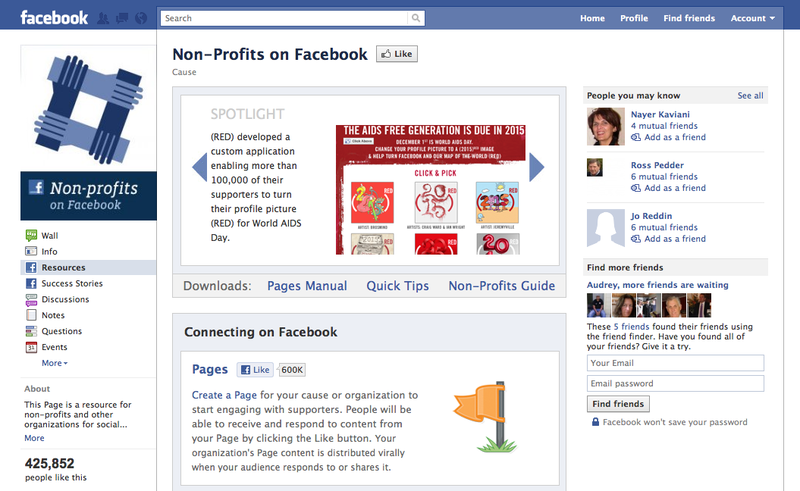 This month Facebook announced its launch of a new resource centre designed to support not-for-profit organisations. 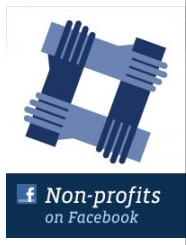 The page, "Non-Profits on Facebook" offers tutorials, open discussions and educational material to specifically help not-for-profits. The Guide for Non-profits includes set-up instructions in addition to best practices for using the network and connecting with online communities. The new resource center already has more than 425,000 Likes.